HOME ABOUT VIDEO TOUR PRESS and GIVING SHOP CORNING ... ONLINE! Welcome to Connors Mercantile, where you will find fine gifts, collectibles & souvenirs. Come visit us in Corning! Why? Once again, Corning has been voted one of the top small arts cities in the country. We're located right in the heart of the historical Gaffer district -- along with a number of other fine Corning businesses -- at Connors Mercantile, 16 East Market Street, Corning, NY, 14830. Phone: 607-937-4438. Join our mailing list to receive occasional special offers and news from our store. New home decor in store! New house? New space? Tired of the old? 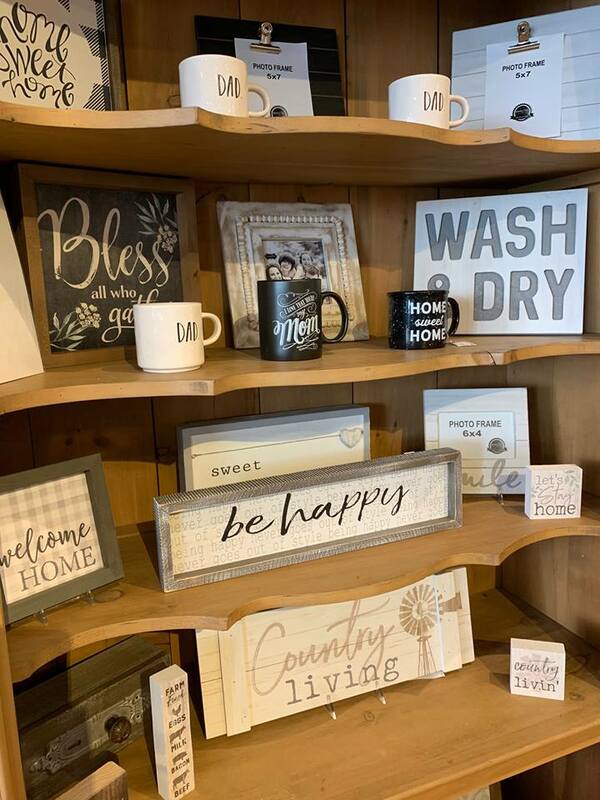 Spruce up your home with one of these simple yet sweet signs. We have a wide variety so come find the perfect piece today! We're excited to now have Alex and Ani at Connors! Alex and Ani jewelry is all handcrafted in the United States using recycled metals, and is infused with positive energy. Each design is unique and meaningful, giving your jewelry both style and purpose. Stop in and see the full line in store now!